While Reading:Since I finished The Girl of Fire and Thorns, I have been waiting and waiting for The Crown of Embers. I thoroughly enjoyed The Girl of Fire and Thorns, but I had some serious questions that needed answers.One of my biggest concerns going into the second installment was the direction that this series headed in. Elisa was queen. She possibly had fulfilled her path. 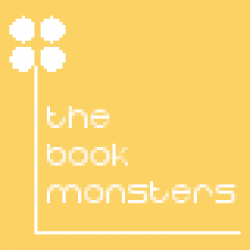 The first book, to a point, seemed so final. Although I wanted more of this world and its characters, I had a hard time picturing what would come next.All my fears seemed in vain though once I started this read. Believe it or not, The Crown of Embers easily trumped The Girl of Fire and Thorns. I loved, loved Elisa in this installment. She has grown so much since the first book that, at times, it is hard to imagine this simpering girl of The Girl of Fire and Thorns. I had a feeling that romance was still in Elisa's future, but the who and how was still left to be discovered. To not spoil the fun, I am not going to go into that. But let's just say, I was extremely pleased. 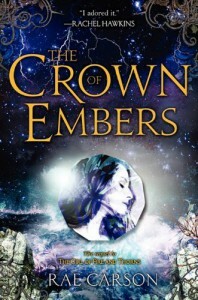 Final Verdict: The Crown of Embers went above and beyond any expectations that I had for it. Ms. Carson has renewed my love for this series. Giving me higher hopes than I ever imagined. The only downside is that I will have to wait about another year for the next installment.